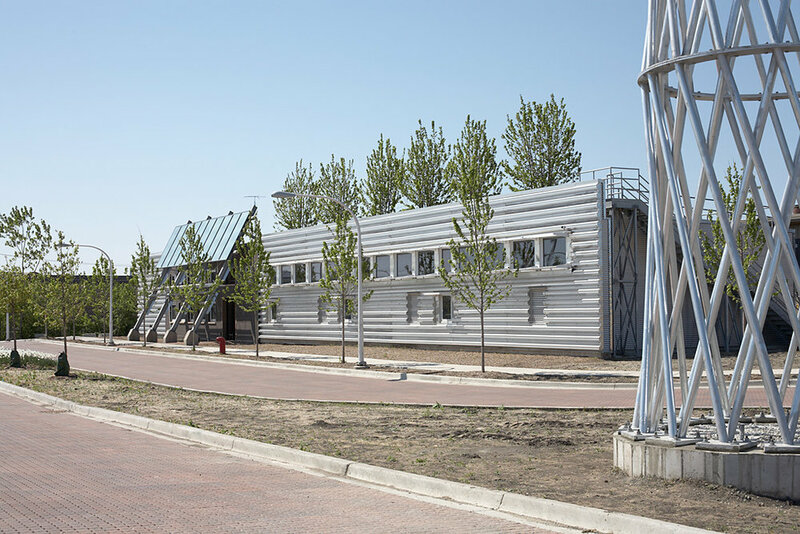 Built on a 12-acre brownfield development, each structure of this three-building complex is designed as a rectangle with its longest side facing south to optimize its exposure to the sun. The office and the warehouse buildings are also oriented in an east/west direction to use up to 20% less energy than the same buildings oriented in the north/south direction. Drucker Zajdel Structural Engineers (DZSE) incorporated LEED design criteria to achieve the desire for sustainable and integrated architectural design. An intensive green roof, including live trees, is supported on exposed composite steel beams. The column and bracing layout on the interior of the office building is integrated with the furniture layout and facilitates natural lighting. Exposed steel framing supports the solar thermal panels which also act as the entrance canopy. The exposed structure minimizes building materials and finishes. DZSE also designed the 70-foot-tall free-standing wind turbine tower which provides about 10% of the electrical needs of the office building. 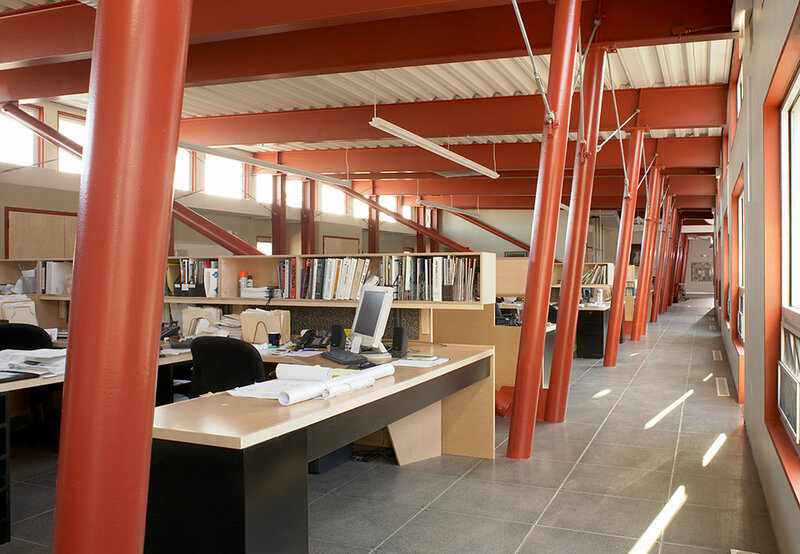 The project received the Chicago Building Congress Award of Merit 2007, AIA Chicago 2007 Sustainability Award and the American Institute of Steel Construction’s National IDEAS2 Award of Merit for Excellence and Innovation in steel building construction. 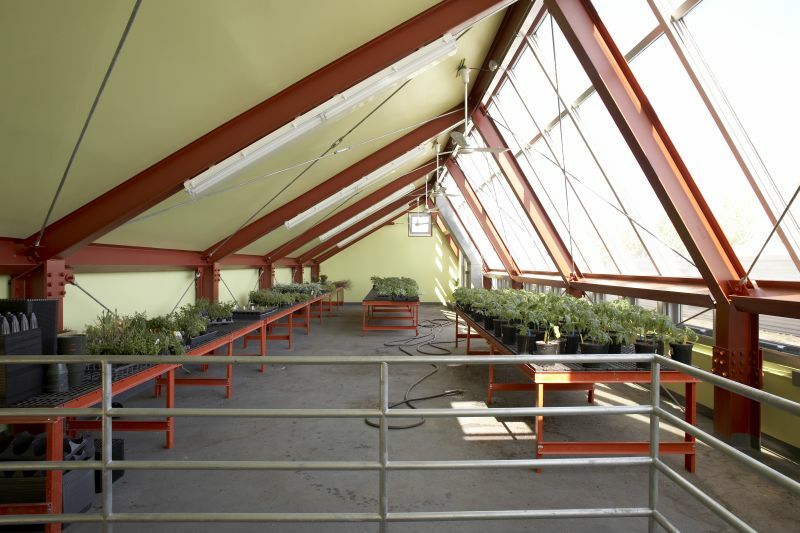 Project Size: Office/Greenhouse 18,000 sq.ft., Warehouse 10,000 sq.ft.